While preparing for a sculptural crochet workshop at Artisan's Asylum last month, I wanted to further expand an existing toolkit for making elemental forms. One thing that's missing is a scheme for making polygons. It's simple, though: all that's needed to transform a circle is to repeat a high rate of increases directly over previous increases in the earlier rows. 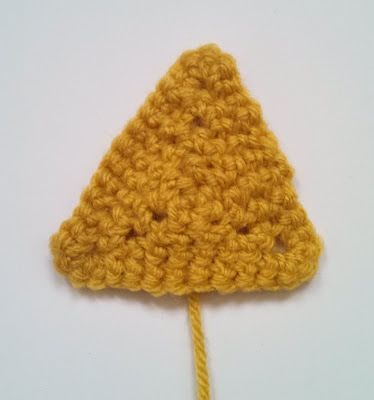 For example, to make points of a triangle, you can crochet 5 times in one stitch. When you come around to this area again, just crochet 5 times in the middle of that increase (the 3rd stitch). Playing around with this got me excited about modeling biological compartments like the carboxysome, a carbon fixing structure in photosynthetic bacteria. Besides being ecologically important, they're amazing protein compartments in that are though to assemble with a very specific geometry: an icosahedron. Each face of shell protein forms an equilateral triangle, and a different protein forms the vertexes. Inside is packed RuBisCO, which fixes carbon. 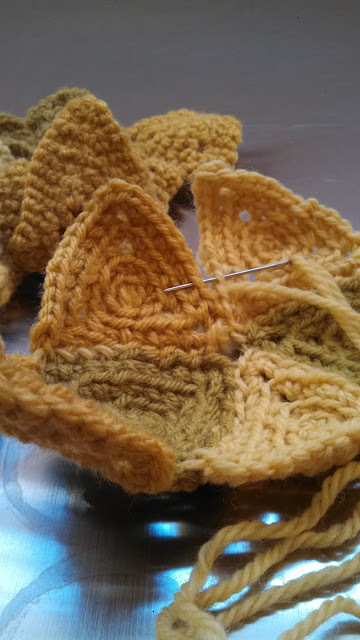 Making the carboxysome simply involved accumulating 20 triangles, like the one above, and then sewing them together with a yarn needle by the front loop - this leaves a tiny groove of separation between the faces on the right side. Even with this effect, however, the crocheted version is very floppy, which is charming in its own way. 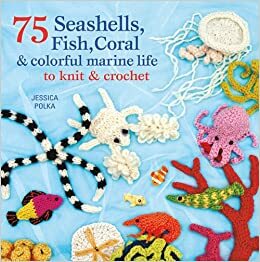 I'd be interested to find a springy method for maintaining shape that doesn't rob the object of its softness like traditional stiffening...any tips?